Many a baseball player has said that trying to hit home runs usually results in strike outs. The harder they try, the more they fail. The important thing is to simply relax and make contact with the ball without any extra effort. It’s a matter of finding just the right rhythm, the right harmony. It goes without saying that harmony of mind, body, and spirit is a critical factor in the success of any difficult endeavor. Discord, whether it results from mental conflicts, adverse conditions, antagonism, or opposition of any kind, usually deters, delays, or completely defeats positive results. Such is the case with mediumship, although whenever mediums are unable to produce phenomena because the conditions are not “harmonious,” the skeptics scoff in self-righteous indignation. The early history of mediumship clearly indicates the need for harmony in mediumistic settings. Many are the reports in which those sitting with a medium would sing or pray in order to establish the necessary harmonious conditions. Some mediums were able to achieve the passive state required for good phenomena within a few minutes, but there were times when it took an hour or longer for anything to happen and there were many times when a proven medium simply couldn’t produce at all on a particular night because the conditions weren’t right. A few mediums, well-known in the history of the subject, are said to have turned to trickery when nothing happened because they were embarrassed at their failure and didn’t want to disappoint the observers. Of course that only resulted in the skeptics concluding that everything was a trick. 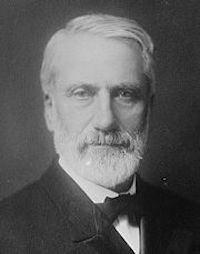 “The mind must be at peace, in harmonious balance, and not biased or excited,” explained William Stainton Moses, (below) one of the best known mediums of the late 19th Century. “The best attitude is one of simple receptivity, an attitude, let me say, quite compatible with the keenest scrutiny and the most accurate observation.” A Church of England priest, Moses was himself a scoffer before he investigated and observed genuine mediumship, and then discovered that he also had mediumistic ability. Referring to his own mediumship, Moses added that “uncongenial company reduces the manifestations to a minimum” and that the power is greatest when only intimate friends are present. Under the most favorable conditions, the whole room was in a state of incessant vibration, which could be felt and heard by others the entire time he was in the trance state. 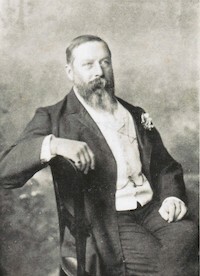 Moreover, he had been advised by the “communicating intelligences” to refrain from eliciting phenomena except in the circle of his friends, which included Dr. Stanhope T. Speer and Mrs. Speer, who recorded much of the phenomena. He further noted that failure to produce phenomena would leave its mark upon him for some days, apparently affecting his confidence. As a result, he had to deny many requests from researchers who desired to observe his trance mediumship. This no doubt reinforced the skepticism of the researchers. Dr. Isaac Funk, (below) remembered primarily as the publisher of the Funk & Wagnalls Standard American Dictionary, was also a psychical researcher and probably more than any other researcher discussed the need for harmonious conditions with mediums. He recalled a sitting in which the medium’s spirit control predicted failure “because there are so many inexperienced persons present it will make it difficult to harmonize the vibrations.” Funk further noted that stormy atmospheric conditions upset the harmony and had a negative effect on phenomena. In his 1942 book, Life Now and Forever, Arthur J. Wills, Ph.D., president of the U.S. College of Psychic Science and Research, tells of an experiment carried out by Mary C. Viasek and Mrs. Z. J. Allyn, a materialization medium. Mrs. Viasek, who had learned to travel out of body, told Mrs. Allyn that she would attempt to visit her circle on September 28 while she was traveling by train from California to Toledo, Ohio. At the time of the séance in Los Angeles, the train was in Utah. After leaving her body, Viasek willed herself to Allyn’s circle in Los Angeles. The circle was already in progress and Viasek entered the materialization cabinet, where she found Allyn entranced in a chair and a number of spirits waiting to materialize. The “cabinet guide” told her that she was welcome to observe but because she was mortal she could not participate. Viasek then observed three “spirit chemists” collecting something. Looking closer, she saw a band of light, of bluish-grey vibrations, resembling heat waves, passing around the circle and into the cabinet. “The stream of vibrations started from the medium’s husband, Mr. Allyn, who sat by the right side of the cabinet, and gradually increased in size as the various members of the circle contributed their vibrations to it,” Wills quoted the report, going on to explain that the stream was about two inches in width and six inches in depth and increased in size as it passed around the circle and then into the cabinet, at which time it was about a foot in width and 18 inches in depth. It was further noted that not all of the sitters contributed to the stream, as it appeared to go around a couple of them. Once the stream reached the cabinet, a spirit chemist took it and appeared to pour it into the back of the head and neck of the medium. At the same time that the light, bluish-grey vibrations were being poured into the medium, a white substance (not named, but apparently ectoplasm), began to emanate from the medium’s chin, throat, and chest. This emanation was then taken by another spirit chemist and put over the spirit to be clothed. As he was pouring the substance over the spirit, he said in a firm positive voice: “Think your features! Think your face! Think your eyes! Think your form! Think positively! Think your form as you were on earth! Think your arms!” As the spirit thought these things a form gradually built up over him. All the while the circle members were singing in order to establish and maintain harmonious vibrations. When they finished one hymn and before starting another hymn, the materializations began failing as “the substance fell from the spirit.” The spirit chemist then began attempting to clothe another spirit and it also failed when the hymn was abruptly changed. Viasek noted that the vibrations changed when the singing changed and interfered with the manifestations. As discussed in earlier blogs about physical mediumship, when the mediumistic power lacks or the spirit lacks in ability to project his or her image or voice into the ectoplasm, some bizarre or hokey phenomena have resulted. Likewise, with mental mediumship, lack of harmony, a failure to produce rhythmic vibrations, however it is viewed, results in distorted communication or complete failure. But all this does not easily lend itself to scientific validation and is simply too much for the pseudoskeptics to comprehend, the result being that there has been very little research in this area over the past 100 years. Best wishes to all for a harmonious New Year! Next blog: January 13 . Scientists, scholars, ministers, and journalists were befuddled by young Cora Scott (later Cora Richmond), who, at age 11, began giving lengthy discourses on various philosophical, metaphysical , social, political, and reform matters. Or rather, one or more advanced spirits gave the discourses through her (see prior blog post). One theory offered to explain it was called “psychological absorption,” which held that by merely putting her hand on a book or passing through a well-stocked library, young Cora could absorb all knowledge stored in the book or in the library. At the same time, she would have had to discern it, organize it in her mind, and deliver it in a coherent and persuasive manner. The skeptics were prepared to buy into anything but spirits. Some of the spirit communication came through in foreign languages, occasionally an ancient language, but Ouina, one of Cora’s key spirit guides, who often acted as intermediaries between the advanced sprits and the medium, was able to interpret all of them. At one lecture, Cora relayed a message in an Indian sign language to a member of the audience. The man rose from his seat, said that the sign language given through her was perfect, and though he had been a skeptic he was now a convert. At the urging of Mrs. Lincoln, President Lincoln and several congressmen were said to have attended Cora’s lectures in Washington, D.C. when she was still a teenager, and to have been much impressed with her. The abolition of slavery was one of the key themes in her lectures during those early years. By the 1870s and 1880s, the educated world, had adopted Darwinism and had for the most part totally dismissed religion and spirituality, failing to distinguish between religious dogma and spiritual truths. As a result, much of the press didn’t know what to make of Cora, (below) but Wilbur F. Storey, editor of the Chicago Times, was very much impressed with her and published many of her lectures verbatim. My 2011 book, The Afterlife Explorers, is about the principal mediums and psychical researchers before the formation of the Society for Psychical Research in 1882. The mediums include Emanuel Swedenborg, Andrew Jackson Davis, George Dexter, D. D. Home, and William Stainton Moses. The researchers featured are Judge John Edmonds, Nathaniel P. Tallmadge, Professor Robert Hare, Victor Hugo, Allan Kardec, Alfred Russel Wallace, and Sir William Crookes. It was not until a few months ago that I became aware of a major omission, a person seemingly more amazing than the mediums discussed in my book. Her name was Coral L. V. Richmond. Her mediumship began in 1851 and continued until her death in 1923. Richmond’s dynamic near-death experience was discussed in my last blog post but there is much more to the story of Cora Richmond (below) than her NDE or out-of-body experiences. Born in Cuba, New York in 1840, young Cora Scott, beginning at age 11, would slip into a trance state, during which time various spirits took over her body and spoke through her. The words coming through her were not simple utterances of a frivolous nature, but profound lectures on philosophical and metaphysical matters, as well as reform issues, including the abolition of slavery. 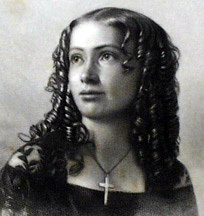 Although, during the first four years of her mediumship, Cora, whose education was limited to elementary school, was sometimes controlled by a deceased German physician to do healing work, it was made clear at the beginning that her mission was to be a platform speaker and to provide teachings relative to the meaning of life along with an understanding of the spirit world. “From the very first, it was announced through Cora’s own lips (while in a trance state) that there was a band of spirit controls of those whose mutual attractions and sympathy had drawn them together in this work of controlling and guiding [Cora],” Barrett explained. “This band, acting together under her guides who had charge of her work, would carry forward the message of truth which the spirit world had for humanity, through her organism.” It was announced in the beginning that there were 12 spirits, each with different gifts or areas of knowledge who would speak as required on scientific, philosophical historical, political, or other topics chosen by a committee or by members of the audience. At times, members of the band had to combine to address certain themes or to answer questions by the audience. According to Barrett, the committees choosing the topic were usually made up of medical men, professors, doctors of divinity and statesmen. “They generally endeavored to select the topic which they deemed most difficult for any speaker to discuss, with which to confound the young girl,” Barrett wrote, pointing out that the subject was not given to her until she was on the platform. “You desire an elucidation of the philosophy of the ‘spheres,’ or an explanation of the successive unfolding of the Spirit though different gradations, either embodied or disembodied. The word ‘sphere’ when applied to any object simply signifies the orbicular condition or position of that object, and does not illustrate or imply a particular location with regard to other objects. But when applied to mind, it represents the compass or power of the mental capacity. The sphere of your material earth comprises all that space in which it moves and, atmospherically, all those elements that surround it and are influenced by its revolutionary changes. So the sphere of an individualized soul is the orbit of its revolutions, and the influence of its movements upon its own center of attraction. “When we speak of the seven spheres or circles of the Spirit-world, we do not intend to convey the idea that our world is divided and subdivided into regular compartments, each separate and distinct in its formation. But that we may bring you capacities in harmonious communication with our own, we are obliged to render an outward or objective distinction , thereby enabling you to realize that we occupy a world as real, as tangible, and positive as your own. Seven is a harmonic number. There are seven great principles in the spiritual identification of mind, and there must be correspondingly seven material principles. There are seven hues in the rainbow, or prismatic reflections of these hues. You have divided your weekly revolutions of time into seven days. There are seven grand principles of melody in the harmonic world of music, and each distinctive principle is a trinity. Seven and three are the combinations of harmonious number; three and seven are the union of harmonious sounds; and sounds and numbers are the united representation of spiritual or real existence. “But before I can proceed to a direct analysis of sphereal harmony, I must distinctly impress upon your mind that ours is a world of causes, or the spiritual, and yours is a world of effect or the material. And as no effect can exceed or become superior to the cause, no embodied form can represent fully the spirit of embodiment. We see reflected in the drop of water a miniature image of the whole starry heavens; but remove the water and we see no stars – yet, does that destroy the vast myriads of rolling worlds? No! We have only to look upward to see the reality. So in the external world we see, embodied, in the flower, the beauty, the loveliness and of its spiritual existence. But soon the external flower is destroyed by the blast, and its petals fall withering to the ground. But where is the odor, the color, and the beauty? Not dead, but blooming in the atmosphere, more lovely because more refined and purified. “Thus, my dear friend, it is with the soul you see reflected in the human or outward form, the image of the Spirit; and gazing upon its beauty and perfectness, you bow before the shrine of the exterior, forgetting that, like the drop of water, it must soon pass away. And when it is removed at last, mortals gaze in sorrow and sadness, strive to restore the faded image instead of lifting up their eyes to see the beautiful reality. “The spheres of the human soul are like the orbits of planets, each perfect in itself, yet distinct and harmonious, and whether that soul exists in the external form, or in the interior and spiritual, it matters not, if it only attains its own orbit and not, like the erratic comet, flashes a moment in the mental horizon and disappears. But even the comet occupies its own sphere, and never comes in contact with any other planet however near it may approach. “Man’s sphere is ascertained on earth by the external application of his interior powers. Men rear grand architectural palaces, whose marble halls and lofty turrets are emblazoned with the choicest gems of earth, surround themselves with every treasure of art, science, and beauty. The poet weaves for himself the silken robe of song in all nature a grand lyric of perpetual beauty. The sculptor chisels for himself an embodiment of his ideal of Nature’s perfect images. All these are but birth of the inferior man, and illustrate the sphereal or harmonic development of the soul. The philanthropist creates for himself a pedestal of earnest and perfect love, and with clear and piercing eye traces out the windings of his pathway, gazes on this whole race of souls and with one loving clasp draw the whole world to his noble heart and bears them on to joy. “Thus it is in our life. The architect creates for himself the ideal, yet real images of his interior thought, and sees in the whole universe a grand and perfect temple. These thoughts are handed down through successive spheres until at last they reach the earth. “Here the poet sings his lyric rhymes in harmony with eternity’s everlasting beauty, and this, like the other, permeates all spheres corresponding with its own, until some soul on earth, catching the inspiration, speaks, and lo! The poem becomes an outward form. Here Mozart thrills forever the strings of Nature’s lyre, and improvises grandest melodies, in harmony with Eternity’s glorious voice. And Rembrandt, through his own ideal and imaginative power, pictures for himself a panoramic scene of Creation’s lovely landscapes, presenting of eye of God the artist power of Nature. More on Coral L.V. Richmond in my next blog, December 16.